Keep Your Drains As Clean As Possible. Drain cleaning is something that you should be doing every so often. We tend to call our plumbers only when there is a problem, but preventative maintenance is just as important. When you have lived somewhere for a long time, the drains will over time, get dirty. Sometimes a clog may occur, but if one hasn’t yet, there is sure to be buildup somewhere in there. A clogged drain is the biggest reason that we do drain cleaning services. It is important that you know the signs of a drain clog or at least the beginning stages of a drain clog. We can use drain cleaning services to make sure that your drains are flowing the way they are supposed to and that they are free of clogging and any other potential damage. Here at All About Plumbing & Septic, we like to recommend to our customers that if they are moving into a new home or building that has been previously occupied, that you should consider having a drain cleaning service done. This will allow your drains to start clean and fresh. You never know what kind of shape they will be in when you are moving into something previously owned. If you have been having a reoccurring clog that you just can’t get rid of, a drain cleaning can be extremely helpful in getting rid of the clog so that the entire thing is removed and will not be able to come back. If you need drain cleaning services in Mills River, Hendersonville, and Asheville, NC, call us at 828-778-2425 and let our professional plumbers take care of you. We are fully certified and all of our plumbers are experienced in the field. Our goal is to bring you the highest quality plumbing services for a great price with dependable workmanship that you can count on when you need it most. Water Drains Slow – Is your water very slow to drain down? When this happens, it means that there is something that the water is having to push through before it can go down into the piping system or water lines. This is a major sign that a clog is developing and you will need to either have a hydro-jetting service done or have us snake the drain. Smell – When there is a developing clog in your drain or one is already there, there will likely be some kind of smell that comes along with it. The smell happens when decomposing waste gets trapped in your drain and has no way to get out. Give us a call at 828-778-2425 if this starts to happen. Water Backup – Backup is something that we hope you never have to deal with. It can be messy and a huge pain for you to deal with. Backup is when there is a clog in usually the main line, and your sewage or water has nowhere to go so it goes out where it came in. this can cause a lot of damage to your home and if it is coming from your sewage line, can be dangerous to your health. Clogs In Several Drains – When there are clogs in several of your drains, you will notice that water isn’t draining and your sinks are filling up in all of them. This means that there is a clog in your main line and it will need to be cleaned out by a professional to avoid any further problems or damage. Let Us Help You Remove Clogs From Your Drain. Drains can be cleaned in a few different ways; hydro jetting and having your drain snaked are the ones we use, often. 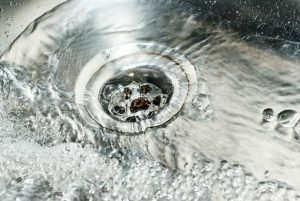 Snaking your drain is done by putting a long device down into your drain and trying to scoop out the clog. This is very useful in many situations like if your toilet is clogged or there is a clog in your shower drain. Another effective way that we clean drains is by using hydro jetting. Hydro jetting is done by using a long hose looking device and having it shoot water at very high pressures to remove clogs. This technique is able to remove tree roots as well, which can be very dangerous to the inside of your pipes. Both of these ways are very effective in removing clogs, but hydro jetting is most commonly recommended because it will clear out the entire line and leave it with no trace of the clog. Drain cleaning is something that we specialize in and have done many times before. Drains see a lot of issues because they are used so commonly and need to have regular maintenance done on them. When you start to notice signs of needing drain cleaning in Mills River, Hendersonville, and Asheville, NC, make sure you call All About Plumbing & Septic at 828-778-2425. We are here to make sure that your drains are taken care of and that you have no more issues moving forward. Let us help you when you are moving into a new home or you just want to make sure your drains are doing what they should be. Updated on January 21, 2019 at 5:15 pm by All About Plumbing.